1215 A.D. – Dashiell “Dash” du Reims is the eldest son of the Earl of East Anglia and a cousin to the great House of de Lohr. Much like his warring and politically-involved cousins, Dashiell is also waist-deep in the political turmoil that is sweeping England at this time. As the Captain of the Guard for the powerful – and senile – Duke of Savernake, his is in the middle of the baron’s rebellion against the king. Although his de Lohr cousins have been trying to lure him over into serving Christopher de Lohr, the greatest knight in the realm, Dashiell is reluctant for one very good reason. A woman. Specifically, the duke’s youngest daughter, the lovely and sweet Belladonna. With the duke’s senility, there is an undercurrent movement from within the family to usurp the duke by two of his ambitious sons-in-laws. As a man with only three daughters, the husbands of the older daughters are plotting to steal the duke’s power and his seat, and Dashiell is the only thing that stands between them and the mad duke. He is also the only thing that stands between their wicked intentions towards Belladonna. Nothing will get past Dashiell when it comes to Belladonna, not even men who technically outrank him. He’ll fight to the death. Soon enough, the evil husbands are plotting to be rid of Dashiell as well, but not if the powerful de Lohr family has anything to say about it. 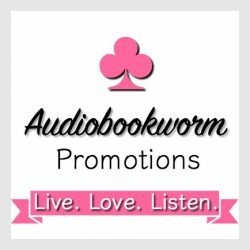 Enter a world of grand Medieval pagentry, passion, battles, and politics in Dashiell and Belladonna’s story, where love is the only thing that truly conquers all and family bonds are the strongest of all. It’s an all-out knightfest in this glorious Medieval epic. I always enjoy a piece of history when author Le Veque pens another tale. John, King of England is a thorn in the rebel barons’ sides as well as the Lords of the Marshes. Dashiell, cousin to the de Lohrs, is a mighty, noble warrior, well within his prime, with a protective streak a mile long for the Duke of Snavernake and his three daughters, believes in himself on the battlefield, but when it comes to Bella, he doesn’t see himself measure up. He sees himself too old for her. You’ll find yourself cheering Bella along as she tries to convince Dash he’s her prince charming. Belladonna is the youngest daughter of the Duke of Savernake, yet her character is stronger than her sisters. She’s unhappy with her lot, because she’s always loved Dashiell, moving from adolescent adoration to much more. Dash treats her even more remotely. From 12 on, she was his shadow and had great camaraderie up until 17. Then she became Lady Belladonna, Dashiell having a formal tone with her, not to her liking, and definitely Dash had trouble keeping his emotions in check. He focused on being their protector – nothing more. She is hurt, doesn’t understand the change and when she does, the story becomes delightfully complicated. Dash must protect the Duke from greedy power mongers. The three sisters love their father, but he is just a shell of the man he was. The duke had been a well-respected knight, his daughters loved him, but the duke believes himself to be Apostle Paul and extremely vulnerable. His death would change much at the keep. The political balance could very well be changed and to the worse for the knights of the Marshes. The other two sisters, Lily and Arcade have troubles of their own. Lily and Arcade, Bella’s older sisters, enrich the telling even further. As with most of Le Veque’s stories, there are subplots woven into the texture, producing a truly three-dimensional setting and fabulously entertaining one. The tension of the situation coils ever tighter as the duke accidentally chokes to death. How can Dashiell protect Belladonna and her sisters now, against their own brother? He can’t very well go against the new duke. The story has all the markings of a Le Veque tale – its timbre is definitely Le Veque. If you are a connoisseur of Medieval Historical tales with dash (no pun intended! ), excitement and deep emotional pull, Le Veque is your author. 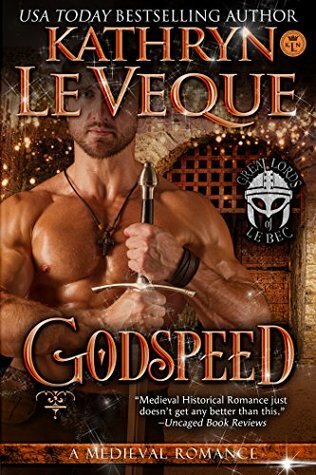 This entry was posted in Action/Adventure, Book Reviews, Historical Romance, Medieval Romance, New Book Release, Uncategorized and tagged Book Review, Earls of East Anglia Series, Godspeed, Kathryn Le Veque. Bookmark the permalink.